1986. Halley’s Comet was appearing in the sky, the UK and France announced plans to construct the Channel Tunnel, and Servants in Hawthorn (now known as Servants Community Housing) began managing Carrical House in Mason Street, Hawthorn. At the time, Carrical was run as private housing, and the majority of residents were employed single men on a low income. The property was in danger of closing when a small group of people from Hawthorn West Baptist Church perceived a need in the community to provide housing for those who otherwise would have been forced to live on the streets. 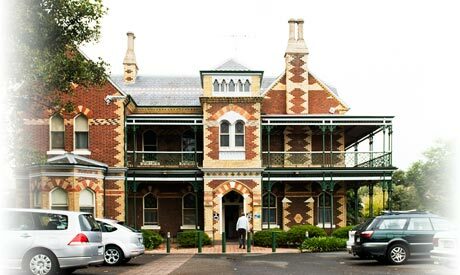 They formed the not-for-profit Servants in Hawthorn, and began leasing the property from the Office of Housing, running it as a boarding house. In those days, it was necessary to limit the number of residents with mental health issues, as on occasion their behaviour could prove distressing to other residents, or was thought to be dangerous. However, over the years, the introduction of means-testing of any potential resident and the model of housing that Servants has developed, have meant that today the percentage of residents with mental health issues is closer to 80%. Contrary to the perceptions of mental illness in the media, most days at Carrical pass without incident or aggression, helped by a health system now better equipped to serve those living with a mental illness, particularly through the introduction of individual case workers. In the 25 years Servants has been managing Carrical House, many changes have been made, all of which have ultimately resulted in a better quality of life for the residents. While society as a whole overlooks the sort of people housed at Carrical, the management and staff see the residents as being worthy of dignity and respect. Most of the residents come to Carrical at difficult times in their lives, yet most residents live there long-term. The changes implemented over the years have turned the property from simply a place to live into a home, a place where they can live in a community, and receive the dignity and respect they deserve as human beings. Of course, difficulties will always arise when a large group of people are living together in close proximity. The key lies in how these difficulties are resolved, something that the management and staff have continued to perfect over the years.